Just about everyone I know is absolutely sick of Winter and cannot wait for it to start warming up. 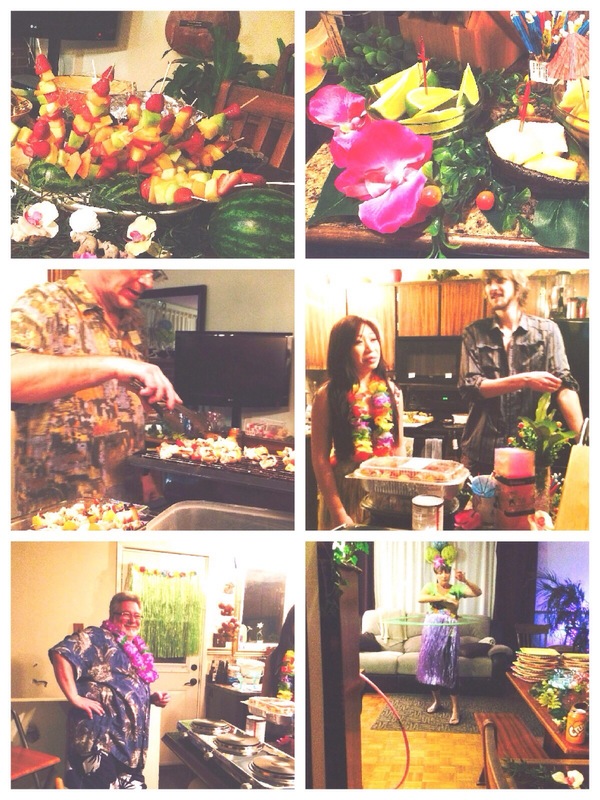 So a couple of weeks ago my bf’s mum threw a Hawaii theme party to help cheer up some glum Canadians. We put together some really neat edible displays, like the fruit kebabs. There were a lot of flowers used to make this as summery as possible. I realized I never posted this when I meant to. That’s my bad, but I hope you enjoy the pictures anyways.